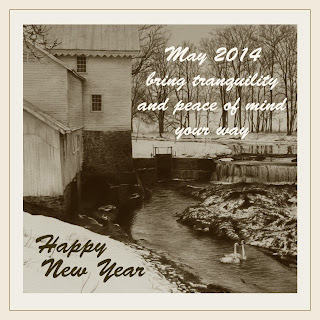 From my 2005 drawing, "Midwinter", wishing all a Happy New Year. Winter Solstice plus one . . . This most recent offering of small works at small pricing was a great success and I thank each and every person who now owns one of these 14 works. It was fun for me to do them and for those who missed out on snagging one of these, I will be doing this again in the spring so try again in a few months. As noted . . . all contacts for purchase occurred through my posting these images on Facebook at the same time they were posted here. 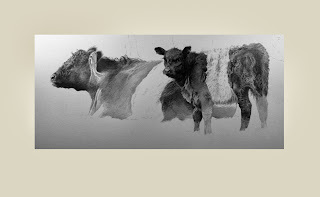 So, I believe what I will do in the spring is to only be posting the works on my Facebook art page, The Graphite Art of Terry Miller to make it easier for those who wish to try for one. I'll post a notification here on my blog page prior to the first posting on Facebook as an alert but the images will only be posted on Facebook each time this is done in future (I hope to repeat this several times next year after the spring offering). If you are not on Facebook, I would suggest that you 'LIKE' my art page so you will have access to the offerings in future. Again, my thanks to all who now have one, two or more of these works to add to their collections. Today's final posting in my "Twelve Days of Christmas" offering of small works at small pricing . 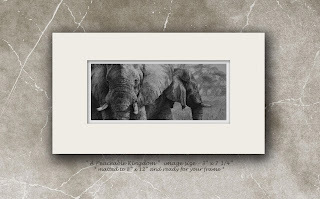 . . "Stalk" is a special way to end these dozen days of posts as it is matted in linen, framed and ready for you to hang on your wall. 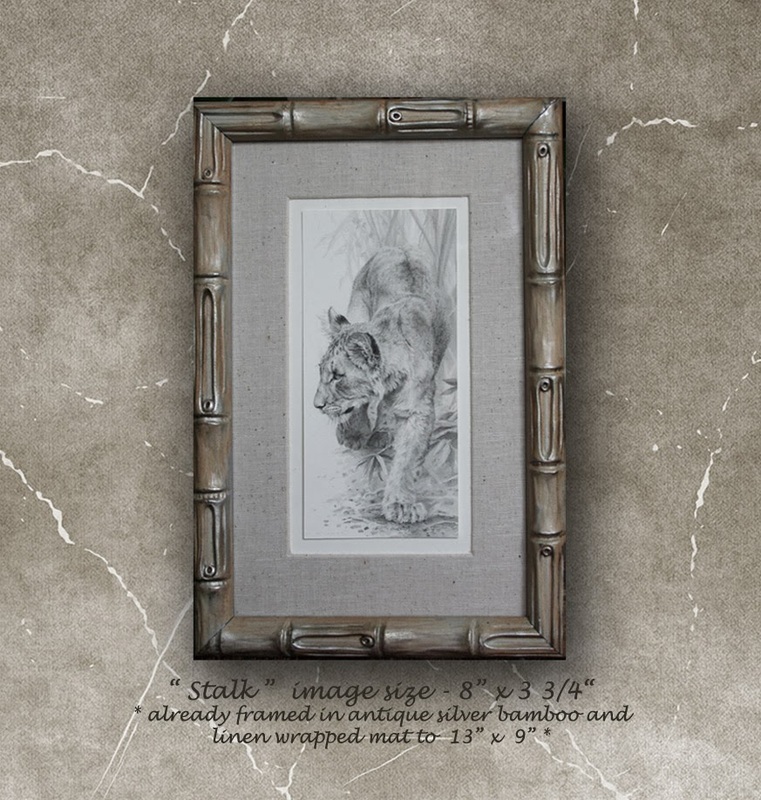 It comes at a bit higher price, $280, but you won't have to frame it and that includes the cost of shipping via US Priority Mail to a continental US destination (farther afield will require an additional shipping charge depending upon destination). 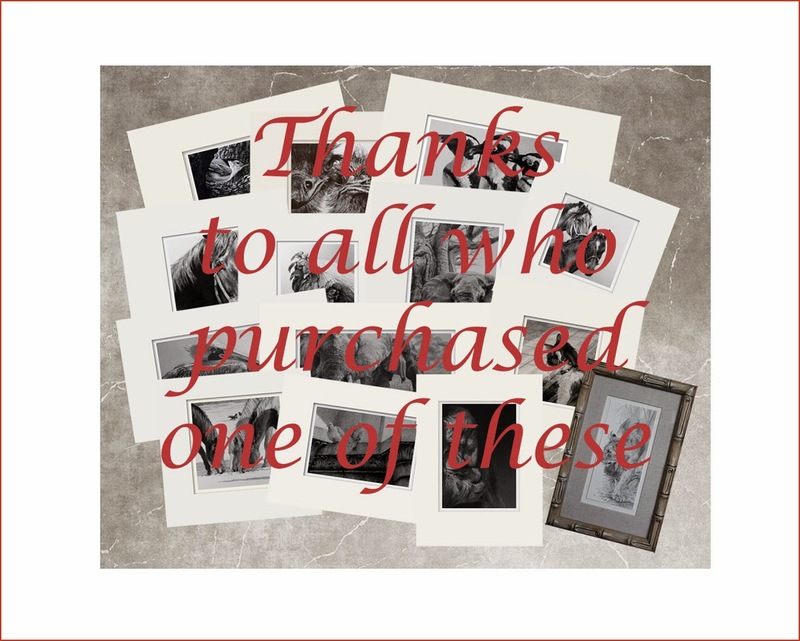 This has been a fun couple of weeks and I am most pleased that all, up to today, have been sold and hope those who have snapped up one or two will enjoy them for many years. 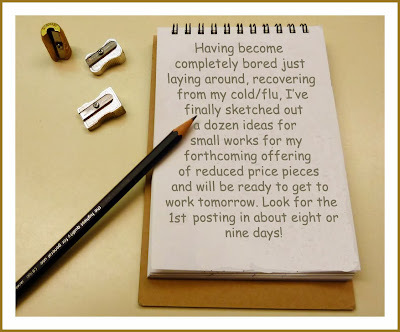 On this 11th day of my "Twelve Days of Christmas" offering of small works at small pricing, which just happens to occur on 12/12/13 . . . here is today's little work up for purchase, "Harbingers of Spring". Wishful thinking on my part? Not really as so far, our "winter" has been rather mild relatively speaking compared to other parts of the country. Anyway, $200 will bring this work to you via US Priority Mail to a continental US address (farther afield will require an additional shipping charge depending upon destination). 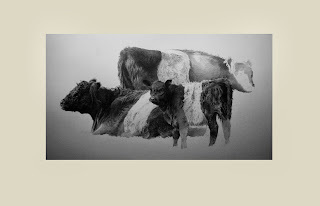 I am quite pleased to have recently been asked to ship four works to Trailside Galleries in Jackson Hole, Wyoming. Spotlighted along with works by many of the other gallery artists, here is a link to their "All Creatures Great and Small" special Holiday show, featuring two of the four works. 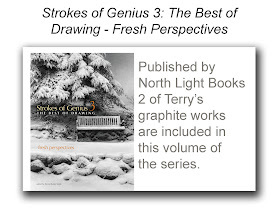 I will be posting the tenth work in my current offering of smaller works around noon today (Eastern Time) and would suggest that if you might be interested in trying for purchase, you do so through the link to my Facebook art page, The Graphite Art of Terry Miller linked in the right hand column here, as it would be the fastest way to contact me for purchase. Day ten . . . here is today's offering during my "Twelve Days of Christmas" of small works at small pricing . . . "Winter Warmth". $200 to the first person who contacts me for purchase. 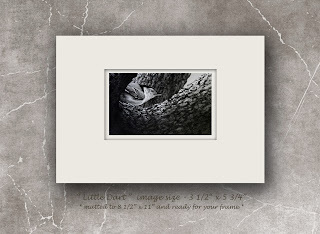 Price includes the cost of shipping to a continental US address via Priority Mail (farther afield will require an additional shipping charge depending upon destination). As noted earlier, your best bet is to contact me via Facebook as these little works are being grabbed up very fast.
" A Peaceable Kingdom " (my favorite subjects!) is today's offering, the ninth in my ongoing "Twelve Days of Christmas" special offering of small works at small pricing. Matted and ready for you to frame, $200 to the first person who contacts me for purchase. 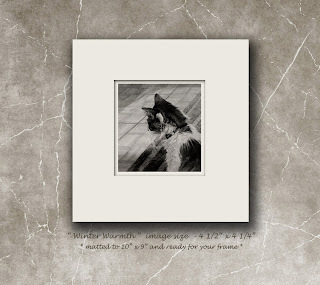 The price includes Priority Mail shipping to a continental US address (farther afield will require an additional shipping charge depending upon destination). Three more works yet to come, with a surprise or two thrown in just for fun! Number 8 of my "Twelve Days of Christmas" offering of small works at small pricing . . . "Status Quo" . . . offered at $200 to the first person who contacts me. 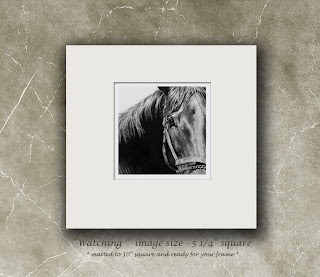 Price includes the cost of US Priority Mail shipping to a continental US address (farther afield will require additional shipping charge depending upon destination). I've noted that all the sales thus far have occurred through my Facebook art page, The Graphite Art of Terry Miller and would suggest that if you are looking here on my blog page, you might wish to 'like' my Facebook page as it is a much faster way of getting in touch with me to purchase one of these works. As noted all of the previous seven works have sold within two to five minutes of my posting both here and on Facebook. Four more works yet to come and maybe a surprise or two as well. How does that song go? . . . "Oh, the weather outside if frightful . . . " but the studio is so delightful! On the seventh day of my "Twelve Days of Christmas" offering of small works at reduced prices, here is today's offering at $200 to the first person who contacts me for purchase with Pay Pal or a personal check. 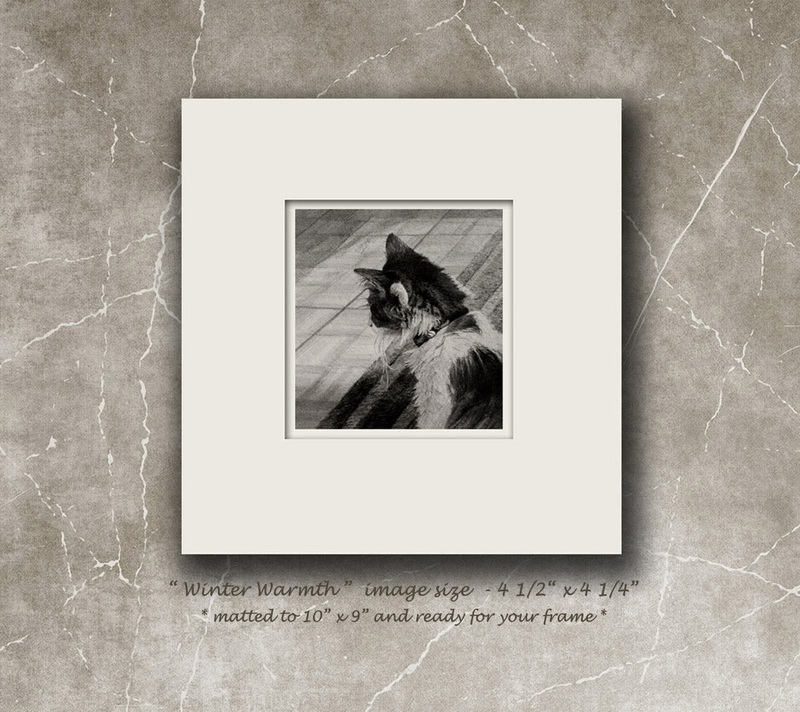 The price includes Priority Mail shipping to a continental US address (farther afield will require an additional shipping charge depending upon destination). Good luck! "Gnarly" is today's - the sixth in my "Twelve Days of Christmas" - offering at $200 to the first person who contacts me. 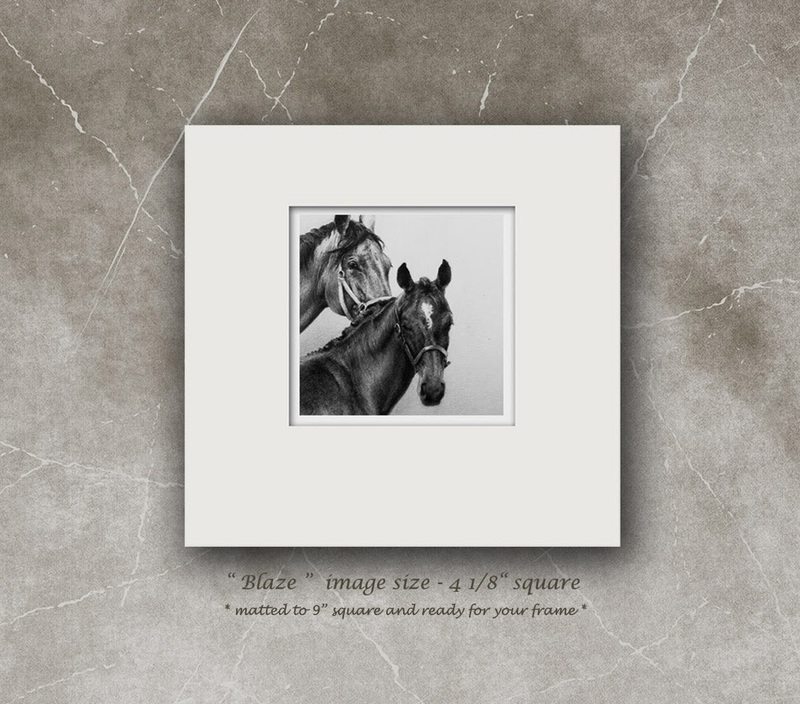 The price includes Priority Mail shipping to a continental US address (farther afield will require an additional shipping charge depending upon destination). On this fifth of my "Twelve Days of Christmas" offerings of smaller works at reduced pricing . 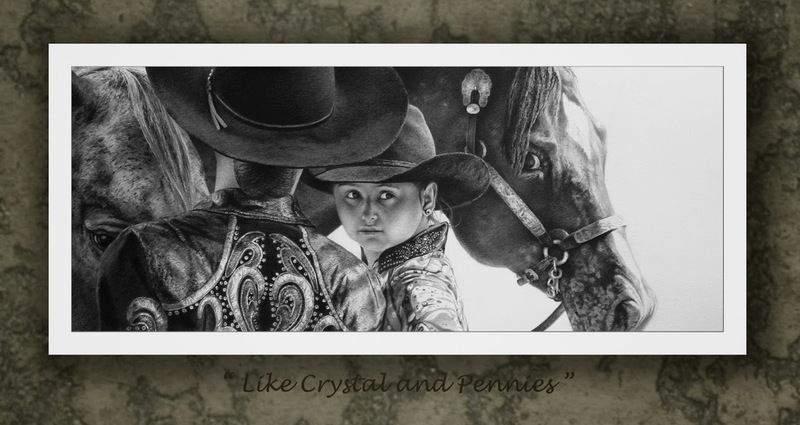 . . here is today's offering, "Buster and Bev" which will go to the first person who contacts me for purchase at $200. Price includes the cost of US Priority Mail shipping to a continental US address (farther afield will require an additional shipping charge depending upon destination). 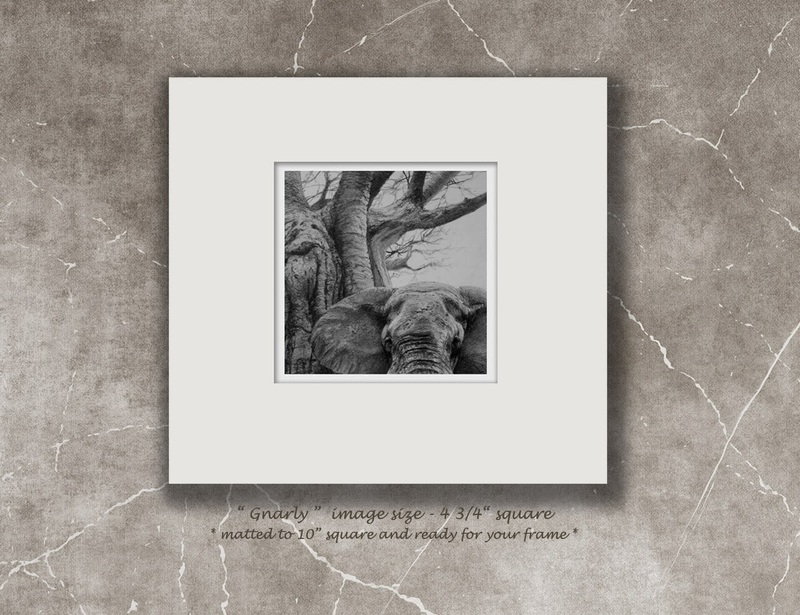 As noted, it is matted to 9" square ready for you to frame. Posting a bit later today . . . as noted on my Facebook page, I had heard from some on the west coast that the early (7 AM their time) 10 AM Eastern postings were a bit too early for them to check out, so I will be posting the remaining works at 11:30 Eastern through the end of this special Twelve Days of Christmas offering. Here is today's offering at $200, which will include the cost of Priority US Mail shipping to a continental US address (farther afield will require an additional shipping charge depending upon destination). Three French Hens? . . . ("And on the Third Day of Christmas . 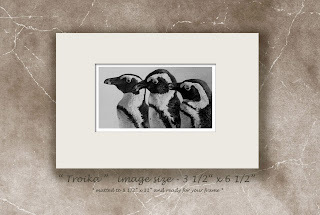 . .") - no, three waddling penguins! Here is today's offering at $200, which includes the cost of shipping to a continental US address via US Priority Mail; farther afield will require additional shipping charge to be determined by destination. And . 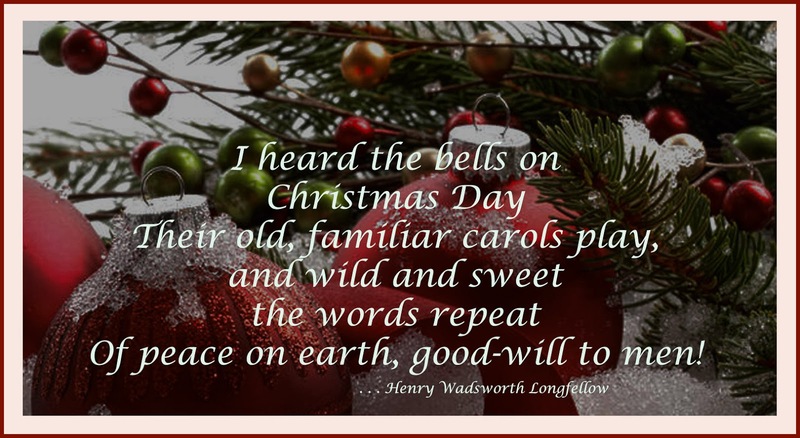 . . on the "Second day of Christmas . . ." no, not two turtle doves but a pair of ostrich. Today's offering - "Here's Looking at You . 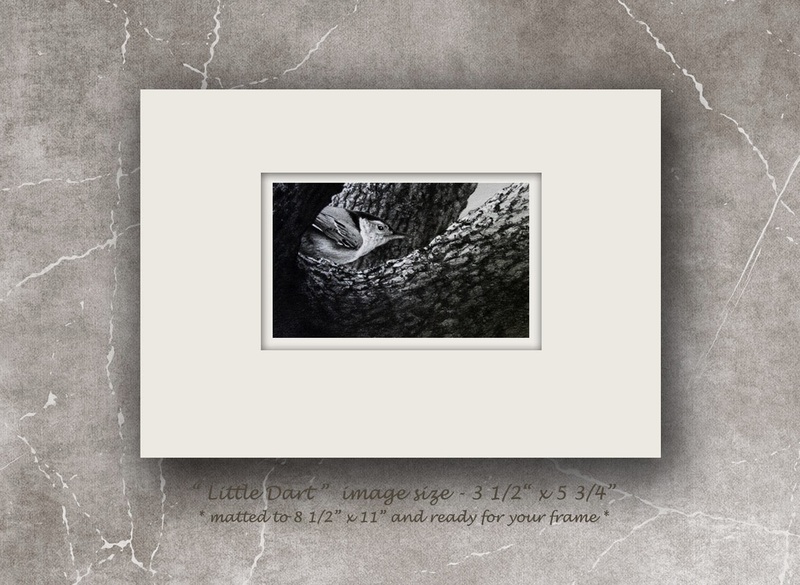 . ." - as noted, matted to 8" x 10" and ready for your frame. $200 includes the cost of US Priority Mail shipping to a continental US address (farther afield will require an additional shipping charge to be calculated at time of purchase). This work will go to the first person who contacts me for purchase; payment with Pay Pal or a personal check appreciated. As the tune goes . 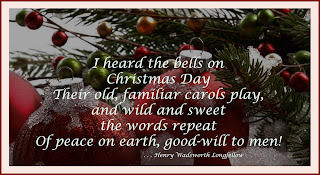 . . "On the first day of Christmas . . . " Well, it's not a partridge in a pear tree, it's a nuthatch in an oak tree and it is the first of the dozen works that I will be posting and offering during my special "Twelve Days of Christmas" small works offering beginning today; small works at small prices. 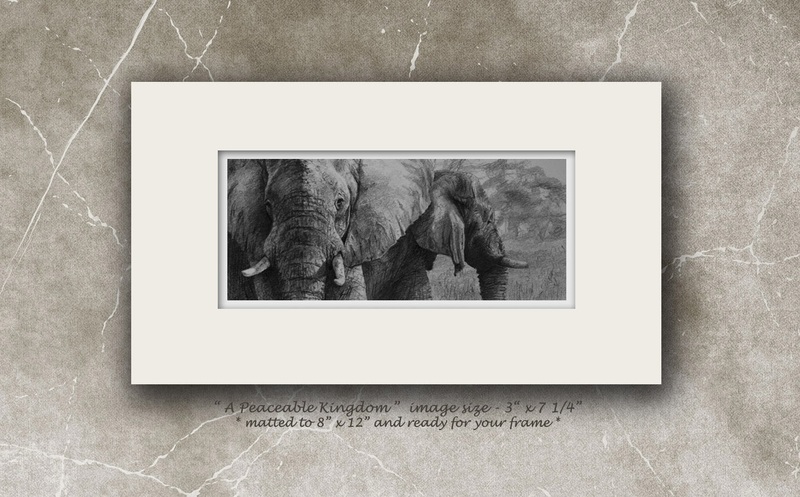 As noted, the work will be matted and ready to be framed by the purchaser. It is offered at $200 which will include the cost of US Priority Mail shipping to a continental US address, farther afield will require additional shipping cost to be determined at the time I am contacted. Pay Pal or personal check is appreciated. This work will go to the first person who contacts me for purchase, good luck! Forgot to post this yesterday . . . in honor of Black Friday . . . a little tease of several of the new works just completed for my offering of small works beginning on Monday morning. There will be twelve works offered both here and on my Facebook art page so if you are interested in one, email me, go to my Facebook art page, linked here in the listing on the right and comment for purchase or send a private message that you want the piece. The first person to contact me for purchase will be the owner. Good luck! Two more small works accomplished for a total of five now. Two more to do this week, maybe three if time allows, and will be ready to post the first offering on Monday morning, December 2. I should post about 10 o'clock (Eastern time) and the first person to contact me for purchase will be the owner. The last time I did this, there were some disappointed buyers who just missed out. 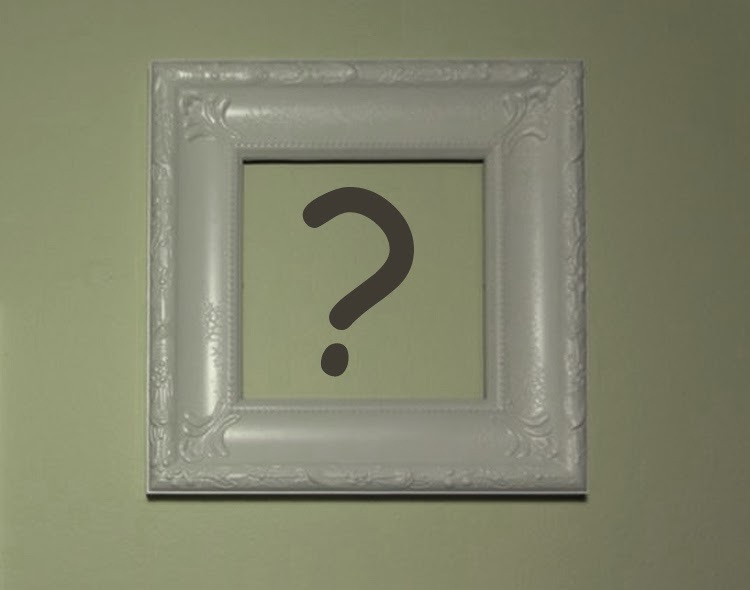 I imagine that there will be many checking the daily postings so if you think you might want one of the dozen works being offered this time around, best to get in there early with your offer to buy. I will be accepting Pay Pal payment or check once again and the offering prices will include Priority USPS Shipping to continental US destinations. Farther afield will require additional shipping charges depending upon where they might be headed. First three of the new, small scale works for my "Twelve Days of Christmas" special offering which will begin in the first week of December are done and on the work table waiting for mats to be cut. 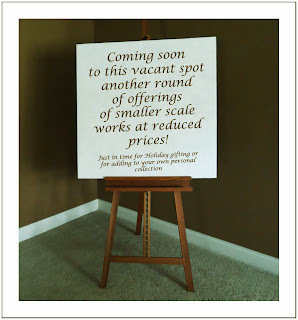 Everything is on schedule and I hope to begin the offering on or shortly after December 2. Come back and check out these little gems. be added to your collection or for gift giving. 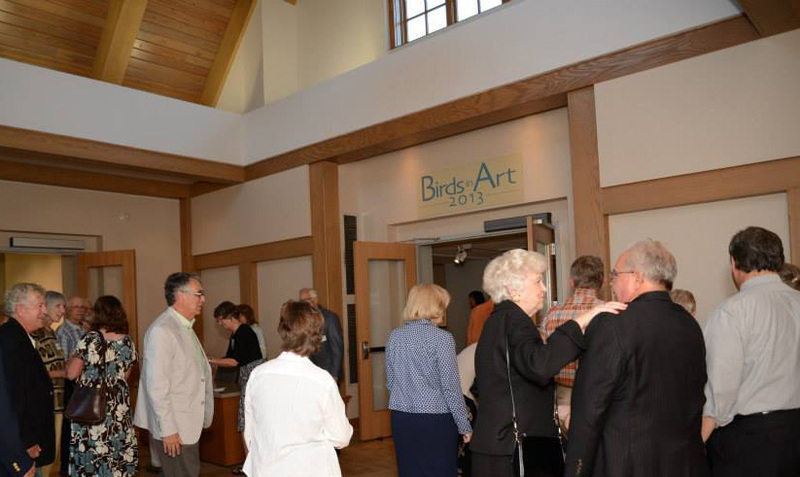 This coming Sunday, November 10th, marks the closing day of this year's edition of The Woodson Art Museum's Birds in Art exhibition. 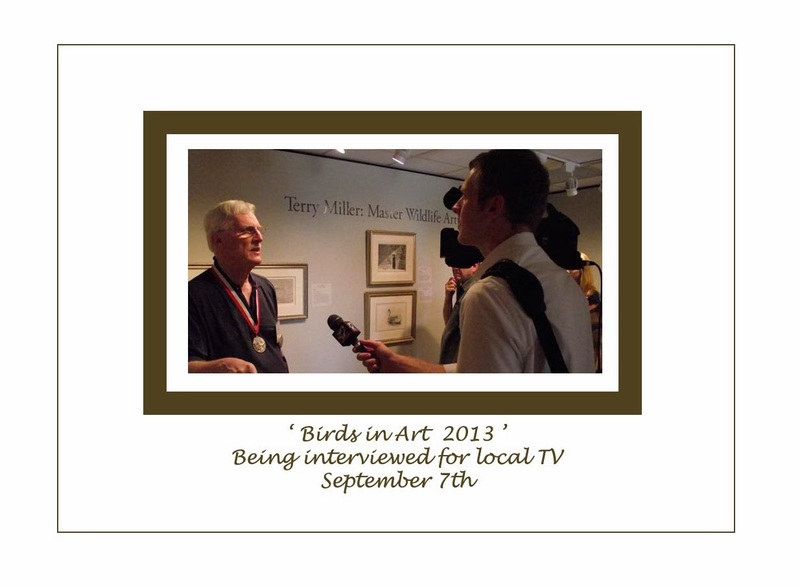 It seems like just a couple weeks ago that I was being interviewed for the local TV station on Saturday morning after my presentation upon being honored with the Master Wildlife Artist medal for 2013. Time flies . . . but all good things must come to an end. And so, this is the last week to see my mini retrospective of 14 works that has hung in the Master's Gallery for the last two months. One of those works of mine will go on tour along with 59 other two and three dimensional works over the course of the next 12 months. The first stop will be the Heritage Center at the State Historical Society of North Dakota in Bismark from March 1 through the end of June of next year. The next stop on the tour will be the Steamboat Art Museum, Steamboat Springs, CO from July 19 through September 13 and then it moves on to the Michelson Museum of Art in Marshall, TX to hang there from November 4 (a year from today!) through the end of next year. If you are near any of these fine venues, make plans to see some fine art work throughout next year. My thanks again to The Woodson Art Museum for honoring my work this year. Thanks to, to one of my collectors, who loaned a work to the exhibition and took this photo, Mr. Dan Martin, who surprised me at the Friday evening dinner. I'm pleased to announce my connection with Lovetts Gallery in Tulsa, Oklahoma. I'm happy to join the ranks of so many other, fine artists and sculptors whose works currently hang/reside in the gallery. If you are in the Tulsa area, stop in to see my work in person. Well, even though I said I was not going to post any more of the new works that will go to the Waterfowl Festival next week, since I just completed the last of the new works today, I figured I would go ahead and post this one, last off the board, image size is a bit over 9" by just shy of 23". The rest of the new work . . . well, you will have to visit the Festival next weekend to see them! 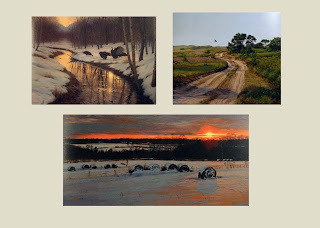 Following up on yesterday's entry regarding the currently running show of the Oil Painters of America at McBride Gallery in Annapolis, I noted that Cindy McBride posted the comments of the awards judge, the phenomenal artist, Nancy Howe, and wanted to post a link here for you to take a look and enjoy her comments on each of her selected works. 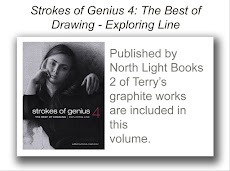 It is interesting to note just how many times Nancy refers to and spotlights the various compositional ideas and approaches that each of the award winning works featured and spoke to her. 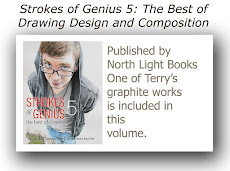 So, apparently I am not the only one who espouses the elements of good design in a fine compositional idea. Nancy was honored with the Master Wildlife Artist medal from the Woodson Art Museum several years ago and I am pleased to say that I count her acquaintance as a high honor indeed; her works are stunning to say the least. I had to make a trip into Annapolis, Maryland yesterday to drop off a couple of new works at my gallery, McBride Gallery, and spent a happy twenty minutes reviewing the current work hanging as part of the Eastern Regional Exhibition of the Oil Painters of America. A tad over 100 beautiful paintings graced the walls of the gallery . 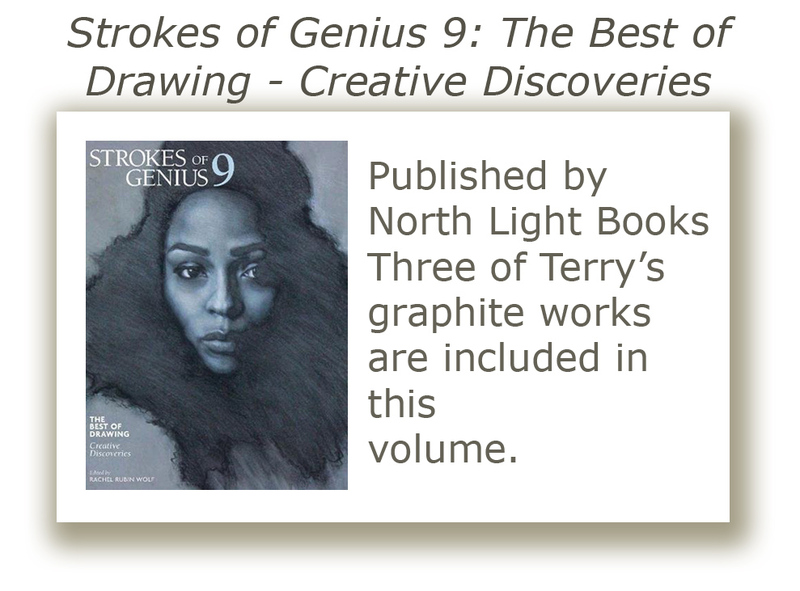 . . it is truly a stunning group of work. 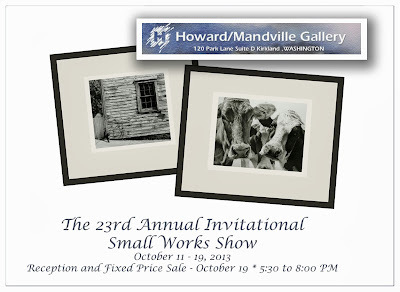 The show hangs through mid November and if you are in the metro DC or Baltimore area or within an easy drive of Annapolis, this is an outstanding group of paintings, quite a few of which have been sold already, and well worth a trip into lovely and historic Annapolis. Of course I have been working steadily for the last couple weeks and will be for the next couple, finishing up the last new works that will go to the Waterfowl Festival with me in a few short weeks. I decided that I would not post these new works so if you want to see them, you will just have to make a trip across the Bay to Easton on November 8, 9 or 10 to see them in person! 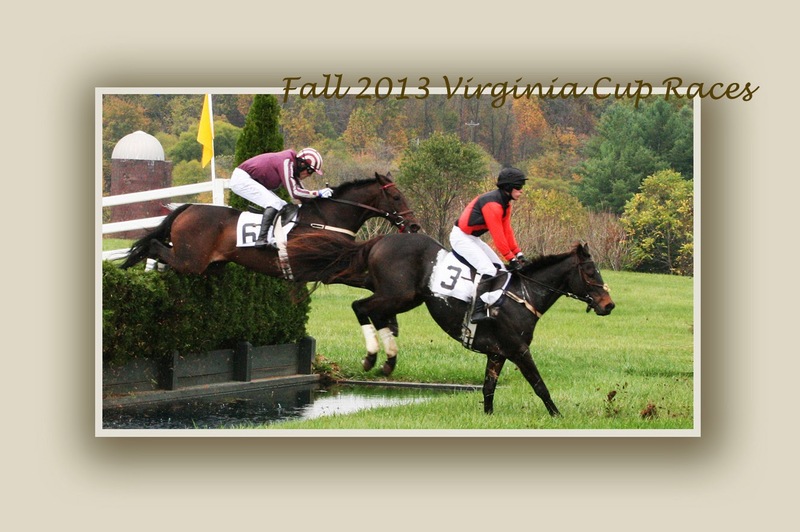 A not-so-sunny-and-bright day yesterday at the races, but enjoyable nevertheless. 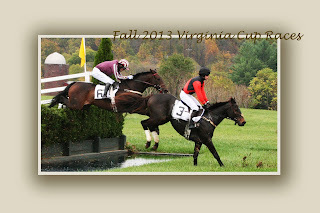 The fall meeting of the Virginia Cup Races once again and some great options for reference material. Though the sun did not cooperate, there was still some interesting imagery to focus upon. I am becoming more and more excited about working on race themed works after having attend the races five time over the last few years, and you can expect to see more of this sort of material coming off the drawing board during the upcoming winter months in the studio. In the meantime, I'm working on the last couple of pieces for next month's Waterfowl Festival taking place on Maryland's lovely eastern shore of the Chesapeake. 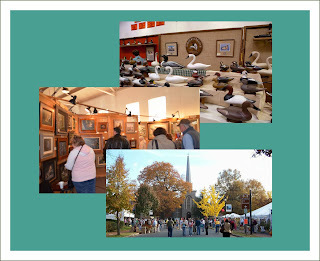 Come see fine art/craft/decoys November 8, 9 and 10 in Easton, Maryland. 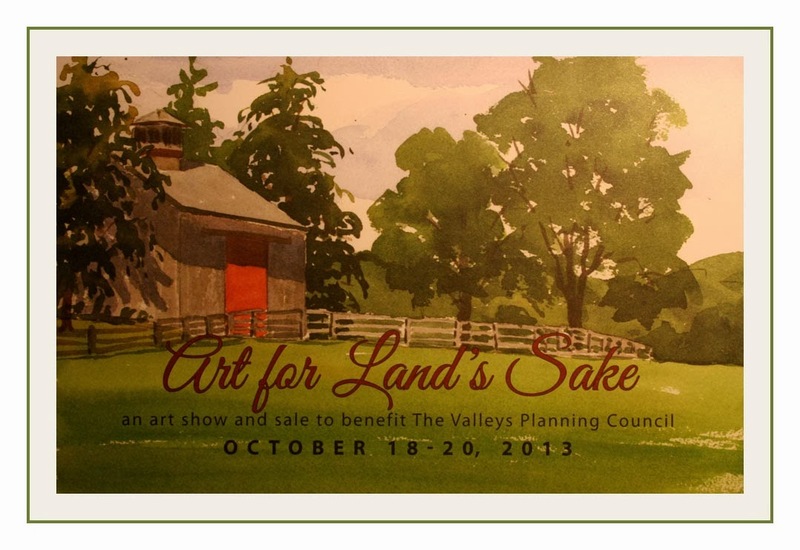 Over the weekend of October 18, 19, and 20, I'll be showing new works along with those of 40 plus other fine artists and craftspeople at this year's Art for Land's Sake sponsored by the Valleys Planning Council in Baltimore County, Maryland. This will be my second appearance at this every-other-year fund raiser and it should be a great show. Take a look here for all the information about times and location. 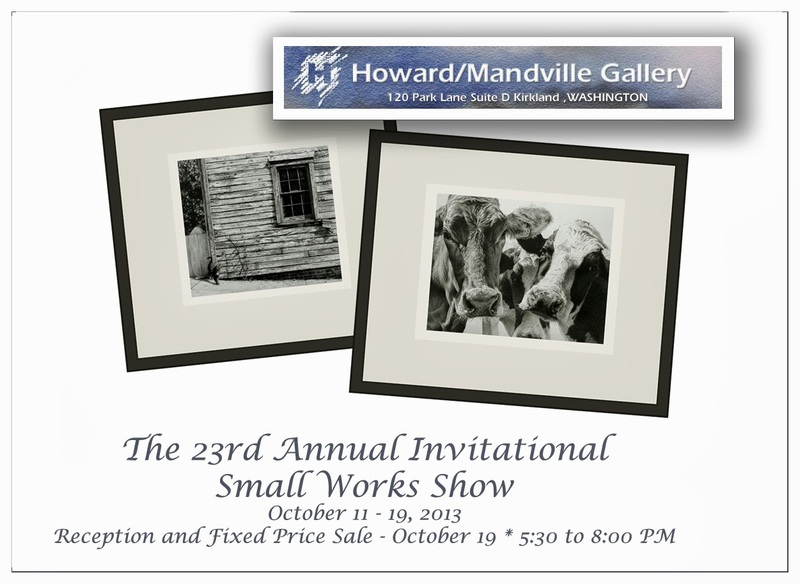 If you are in the Baltimore/Washington DC area, plan to come by and see some fine works and maybe pick up something to add to your collection while helping to support the efforts of the Council as they continue to support the conservation of valuable open lands just north and west of Baltimore City. 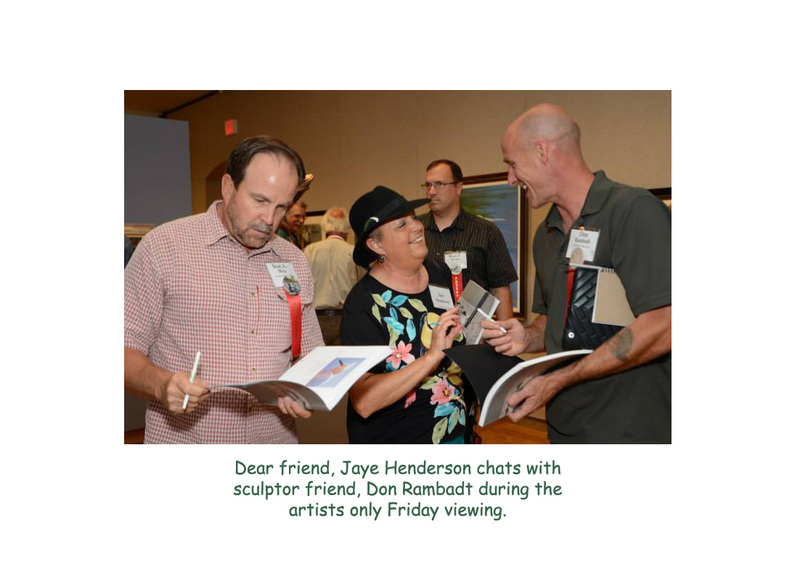 An alert from Amy Beck at the Woodson Art Museum this morning, passed on this link to several nice videos from a local Wisconsin TV station of portions of interviews with myself, Andrea Rich (named as a Master Wildlife Artist several years ago) and Don Rambadt, friend and outstanding sculptor. There is one video with short statements from each of us and also an extended excerpt from a solo interview I did with Rob Dun. Enjoy! Coming up in a couple weeks, this year's Small Works Show at my northwest coast gallery just outside of Seattle, will include these two recently completed works (No Place Like Home and Frieda and Friends) amid the fine offering of small scale original works by some of the country's leading artists. I'm proud to have my work hanging alongside. 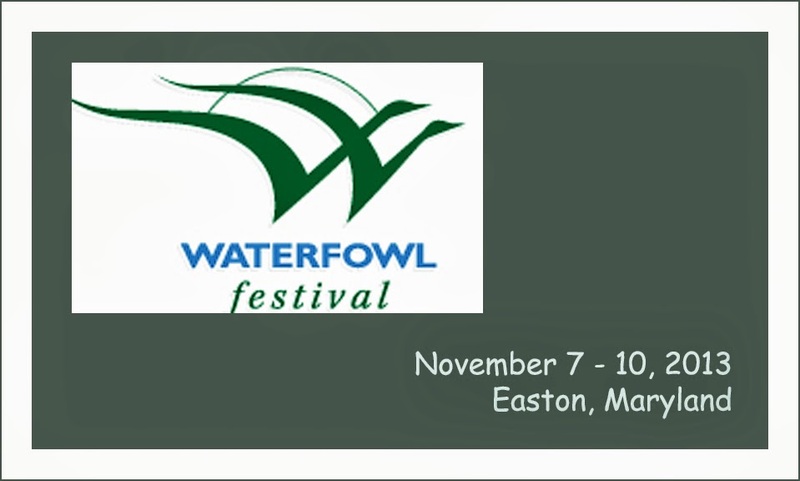 Just shy of two months ahead, this year's Waterfowl Festival on Maryland's beautiful and historic eastern shore, will be coming up fast. I'm preparing new works and looking forward to another great fall weekend in Easton. 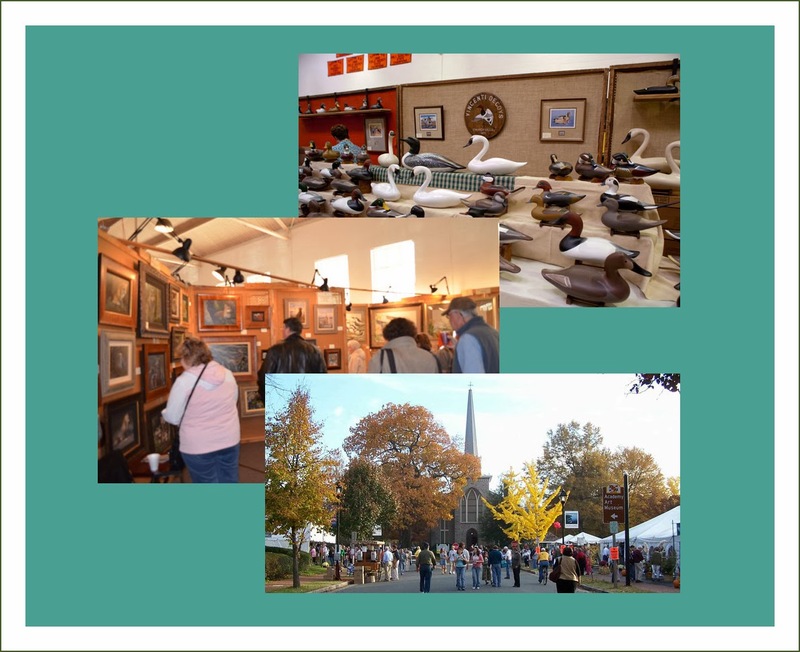 An easy drive from Washington DC or other close by eastern cities, well worth a visit to see some great art in a great setting in the historic town of Easton. Check out their site to see what the weekend offers. It's never too early to make plans! Done. 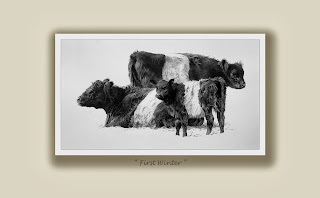 Image size is 13 3/4" x 24 3/4" and it is one of two new works that will ship to Horton Fine Art in Beaver Creek, Colorado for a fall rehang of the gallery. The graphite is getting layered on . . . There is something new taking shape on the drawing board. 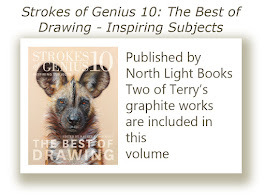 A late afternoon email informed me that two of my works are to be included in next year's publication of North Light Books next volume in their ongoing series, Strokes of Genius: The Best of Drawing. 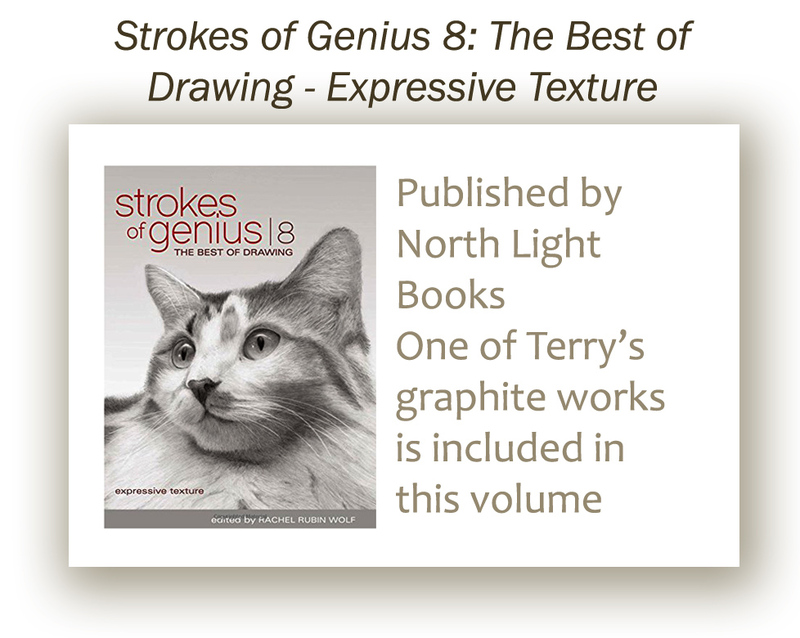 This sixth volume in the series will cover Value / Lights & Darks. 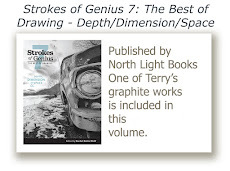 As the fifth volume, in which I have a work included, has just been published and should be available on line and in book stores shortly, this afternoon's announcement makes a nice link to the series and my inclusion in each of the last four volumes. 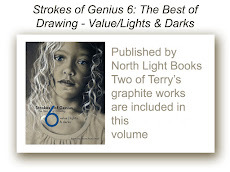 I believe Value / Lights & Darks will be available this time next year, so mark it on your 2014 calendars! 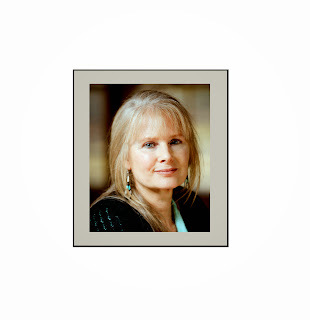 Much appreciation to Rachel Rubin Wolf, the editor of the series. With the opening weekend of this year's edition of Birds in Art at the Woodson Art Museum still fresh in my memory from ten days ago and apropos of my Master's talk, The A, B, C's of an Artist's Life, it's time for this year's version of my annual armchair review of my favorite works from the exhibition. Calling to mind the overall concept of my talk, I'll speak about my favorites with reference to some of the letters of the alphabet, but before I dig into the heart of things, apologies for some of the poor photographic renderings below as I had to reference the images in the catalog this year as opposed to shots taken in the galleries of the actual works. Having been named this year's Master, I had little time to wonder the galleries during the weekend, as I have been able to do in past years, so I really did not get to see the complete exhibition as I had hoped but did manage a very fast run through on Friday afternoon during the artists' only private viewing. So, some of my photos of this morning below are not the best representations of the works, and I offer apologies to their creators up front. Now, on to . . . 'L' for Landscapes . . . These two lovely oils, left by 2011's honored Master, Jim Coe (apologies for the darkened right half of the photo, Jim) and 8 time exhibitor, William Alther, both demonstrate the marvelous brush work of these two fine artists. 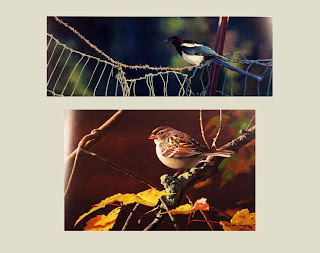 Though differing in seasonal choices, both works struck me with their meticulous yet painterly qualities of striking contrasts and soft and lost edges as well as interesting compositional placement of their avian subjects. 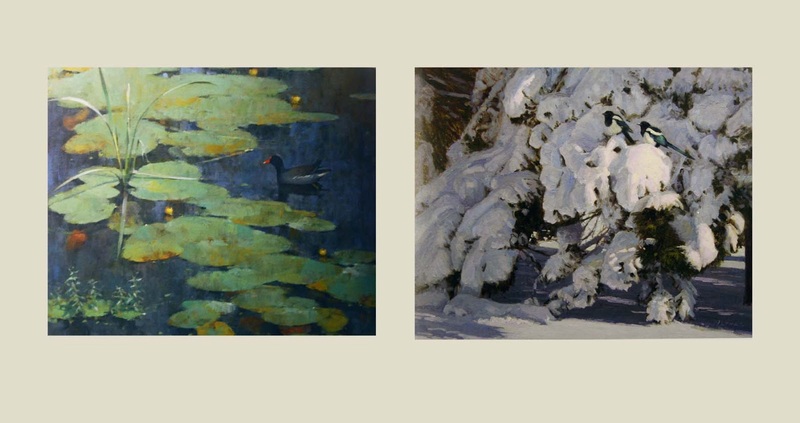 Each knows how to use paint and though Coe's work has a softer light source than the sharp sunlit, snow laden boughs of Alther's evergreen, he still manages to convey a sense of atmosphere that draws a viewer into the work and across the expanse of the lily pads. 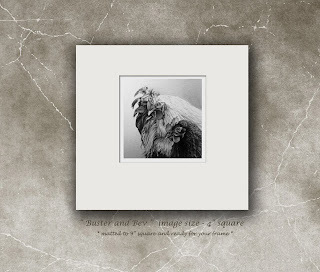 In the next grouping of three additional landscapes that caught my attention, another honored Master, Nancy Howe (2005) leads the way with her subtle palette of wintry tones in Liquid Light, Frozen Shadows, spotlighting a group of turkeys. I've always admired Nancy's landscapes and the way her brushwork alludes to a softer side of nature, almost as if you were viewing her work through gauze. The peach/orange tones of the sky reflected in the creek, act as a lovely balance of subtle brightness in the seemingly otherwise colorless landscape and drew my eye into the work immediately. Next to Nancy's work is another of my favorite landscape artists, Cindy House. Her lovely pastel, Early Morning Flight, also draws the viewer in, along the curve of the dirt road and on to the harrier, which in the instance of this particular work has more command than Cindy's usual tiny, hidden, 'seek-and-ye-shall-find' bird subjects. Cindy's works never fail to stop me and demand my attention. 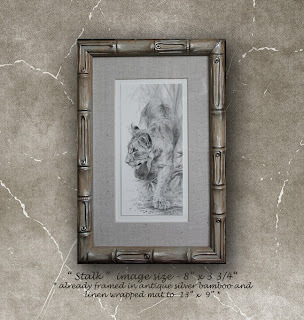 Her meticulous renderings of landscape abound with detail yet always come across, to my eye, as soft and willowy, showing a delicate side of nature while instantly connecting with a viewer and allowing him or her to associate personal memory of other places and times as a fine work of art should. The third work in this grouping above, by Pennsylvania artist, Jim Bortz, repeats the winter theme of Nancy's oil but in Bortz's acrylic on hardboard, there is a colder, frostier, somewhat less comforting feeling developed, but it still drew me into it in that 'I can't wait to get indoors and out of the cold', shivery manner. As in Nancy's painting, Jim has lead our eye into his with that brilliant slash of color in the sky as the sun sets over the landscape. And as with Cindy's piece, the bird almost becomes an afterthought as we suddenly see it's movement, as you would in a natural encounter in the great, frozen outdoors of mid winter. Nancy's snow is soft and partially thawed; Jim's snow crackles beneath our feet and reminds us that winter still hangs on. 'B' is for . . . The Berries! Randal Dutra's Robin' The Berries. though rather a small work at 12" x 16", held my attention as if it were twice the size. 'B' is also for Busy . . . but in the sharp intensity of the broad range of colors and shapes and textures depicted in his oil, Dutra spotlights his robin in strong sunlight which allows it the importance of being the main subject within the paisley pattern of its surroundings. The work is a riot of color which reflects the trueness of its virtual interpretation of a natural encounter. Wes Hyde's not-so-still Still Life with Flycatcher was very high on my list of favorites not only because it stopped me dead in my tracks upon encountering it in the galleries, but because his deft brushwork, depicting all the subtleties of light and shadow, are compositional elements close to my own heart in my graphite work. Again, bright berries play an important part in bringing the viewer's eye into the work, move it through the composition and give a sharpness to the otherwise more muted colors of the background, bird and bowl. The next letter in this artistic alphabet is . . . 'E' for . . . Edges! Here, above, is a nice grouping of three works with subject matter all residing on the edge. Very eastern in flavor, harkening to the elegance and simplicity of Asian art, these works, one in gouache on gessoed paper, one in graphite and charcoal on bristol board and one in acrylic on canvas, show how three different artists working in three diverse mediums on three distinct substrates make use of a similar compositional design concept but make it their own with individuality and nuance reflective of their medium and stylistic approach to art. South African artist, Shirley Greene, has the most colorful approach with her delightful quintet of bee-eaters. By posing her subjects primarily along the left edge of her canvas, she's created a nice entry into the work, our eye following the curve of the branch and eventually down to the departing green winged flyer. By repeating the general flavor of the bird's coloration in the soft, rather nondescript background, there is a very nice balance created between the solo flyer and the heavier upper left corner of the composition. The interesting movements and differing poses of each bird add yet another layer of interest. Ray Brown's white-breasted nuthatch in, What's Going Down, carries through a similar idea as in Greene's painting, but in shades of grey with pencil and charcoal. 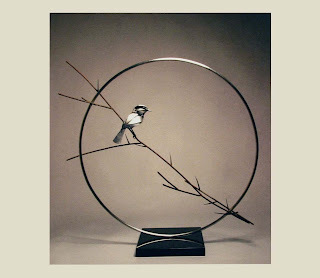 There is a nice flow to the work, again defined by the curving lines of the twigs juxtaposed with the sharp overhead view of the bird. Allowing for a large area of 'negative' space, all that white bristol board, let's his fine draftsmanship sing and showcase exactly what details were necessary to get his point across, yet not overwork and clutter the more 'positive' space of the upper left corner. The final work of this triad by 1998 Master honoree, Thomas Quinn, mirrors the general compositional ideas of the other two artists, but rendered in his very distinct style with gouache (an opaque watercolor), has more angularity to it while manifesting a similar response in the viewer. 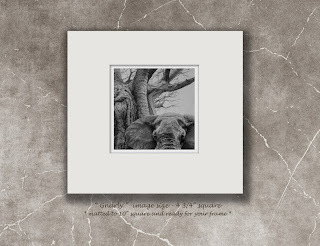 Edges can be tricky places to seat a subject; if not handled well this sort of placement of main subject can direct a viewer's eye right off the compositional plain. These three accomplished artists have challenged themselves to work out not only interesting compositions, which have caught the eye of a panel of jurors for this exhibition, but have managed to differentiate each work from the other by tweaking a basic concept and making it theirs. In this next pairing of works, 'S' . . . for Sea . . . predominates. 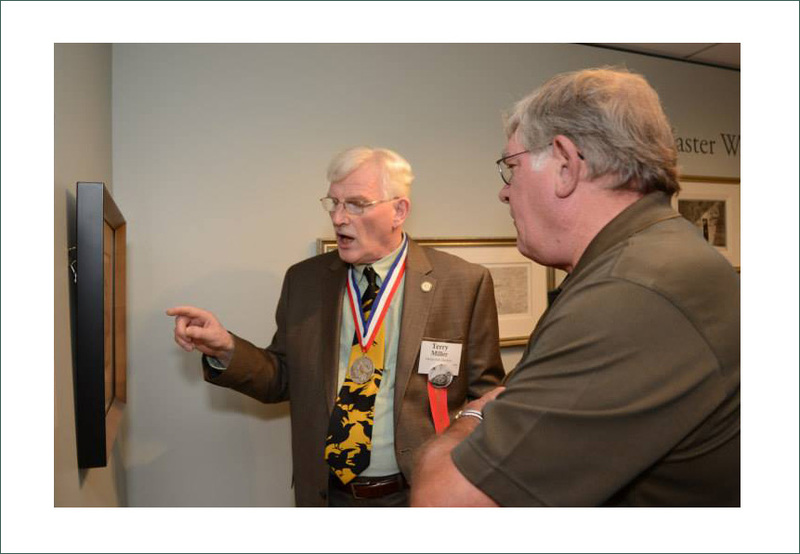 On the left, North Carolinian, Ralph Grady James, has painted a wonderful, evocative oil. His Royal tern rises from the waves with catch in beak. The spare palette of deep sea greens and blues melds sky and sea and bird into a cohesive composition. The elements of the overall design are simple allowing for a strong indication of movement in both bird and crashing wave. As I've noted before about compositional placement and balance, his bird sits just about on one of the 'sweet spots' of the rule of thirds . 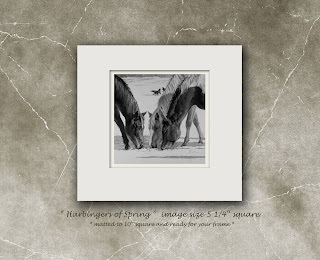 . . it really could not be placed anywhere else in the compositional field. In the second work of this pairing of marine themed paintings above, Connecticut resident, Sean Murtha, in his third inclusion in Birds in Art, reiterates the vastness of the ocean as depicted in James' piece but carries the expanse of the waters farther out giving his gannets room to sail and glide across the breaking sea. As in Jim Bortz's winter landscape earlier discussed, Murtha has introduced a sharp, brilliant orange horizon light that draws the viewer into the work giving the otherwise monotone painting a spark that livens it and adds depth. As is always the case with the substantial 120 or more piece exhibition that is Birds in Art, many of the juried works take on a simple portrait character where the bird is foremost, front and center, with background, stage setting acting as just that, a supporting character in the overall compositional idea. So, we come to the letter 'P' for . . . Portrait. I this first pairing of more portrait like works below, the top one, an oil by first timer Kay Witherspoon, was much to my liking because of its horizontal thrust. Those who follow my blog will know that I tend to enjoy composing ideas in a horizontal and linear format. I was immediately taken with Witherspoon's marvelous rendering of a magpie, beautifully painted, positioned strongly on the right hand vertical third split of the overall compositional field and the lack of emphasis on it's surroundings. Even though her delineation of the fence components mirrored the level of detail in her major subject, it did not conflict with the importance of the bird, but added the appropriate horizontal linear movement to balance the overall composition while leaving the background 'fuzz' to give the viewer's eye the appropriate place to rest. Had there been more detail in the distance/background, the importance of the bird would have gotten lost in all the hubbub. Perhaps this is a very keen example of taking reference material and choosing what is important to leave in and what is not so important which can be left out. Far too often, I see otherwise fine renderings of subject and compositional idea, that get 'lost' in the detail of including everything from one's reference photos/materials. The judicious selection of what is needed and what can be left out is all important when considering a work as a 'whole' and leaving what is not there, to the imagination of the viewer. 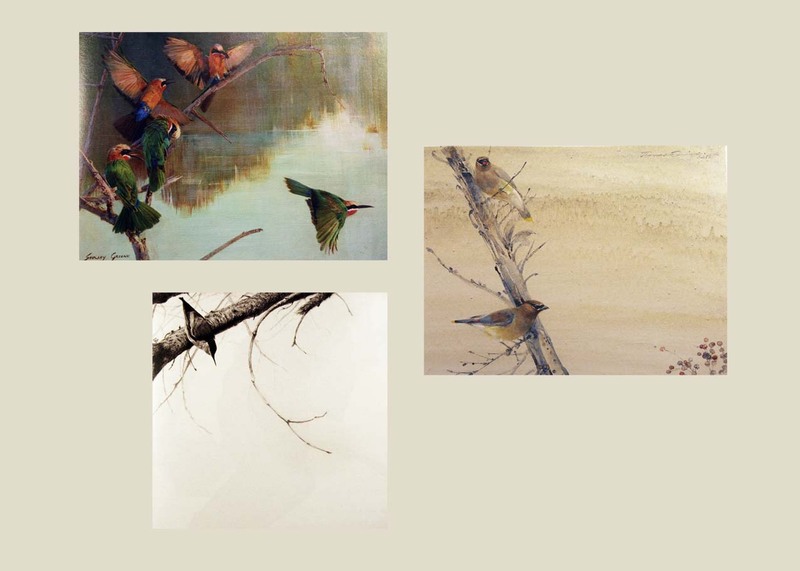 Rod Lawrence's fifth inclusion in Birds in Art, Autumn Gold, a small work at only 7" x 11", had mighty strength to rival the larger canvases hanging alongside it. (apologies again for the photo glare along the left side of the image) His masterful rendering of the bird and its perch, just as in Witherspoon's painting, place all the emphasis and focus on the subject bird with little if any indication of a background. There is an appropriate amount of detail and delineation of the branch, leaves and feathering to make all the important elements sing and less emphasis on the less important 'stuff' of all that negative space. In the next pairing of portrait works below, the pose becomes what dominates in otherwise rather simple compositions. On the left, Camile Engel in her second inclusion in the Woodson Museum's flagship annual exhibition, has chosen a very unique and interesting, slightly humorous viewpoint for her subject, a pigeon guillemot. It's a striking and unusual pose, one that I often say represents the kind of image that will definitely catch and stop a juror's eye in judging for a large scale exhibition or competition, and surely did so back in May during the day long jury for Birds in Art. What I like about this work, over and above its unique view, is the deft handedness with which Engel caught the essence of the subject in a larger than life (24" x 36") canvas. As in the two works talked about above (Witherspoon and Lawrence) there is little or no 'background' to fuss with and the major subject holds all the attention, yet the soft and unoverworked indication of water adds the right amount of environment to hold the composition together. Stretch, by Michael Todoroff completes this duo. His oil of a Sandhill crane glows with a rainbow of colors which is what caught my attention and drew me into the work. 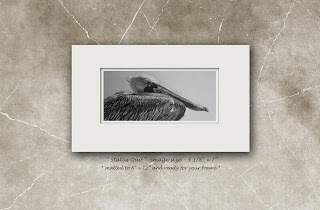 Rather dull in coloration in truth, his crane just pops off the canvas with its vibrancy and the addition of the interesting movement in its wing and leg add just that much more notice to this otherwise simple portrait. The next pairing of more vertical compositions, both incorporating colored pencil, continue the theme of focus on subject with less emphasis on background. The left hand work by Oregon resident, Patricia Jackman, is done totally with colored pencil. A large work at 20" x 15", it really held my attention with it strong composition, sharp colors, unique viewpoint and fine depiction of subject matter. The museum chose this work as one of several it used in publication and advertising for the exhibition and I can see why as it really is a striking highly graphic image; the sort that again, I think truly captures the interest of not only a casual viewer but a juror's eye as well. With 20 years of inclusion in the exhibition, Sueellen Ross, in her ink, watercolor and colored pencil work, Dove, Nesting, the other half of the above duet, also renders her subject with a deft hand but includes a tad more of its 'world' for us to enjoy. As in Jackman's interesting point of view, Ross also adds a unique twist to an otherwise simple portrait by making us look up rather than across or flat on. By 'hiding' a major portion of the subject as well, she has added a bit of mystery and naturalness to the work that made it very appealing to me as a fellow artist; definitely the sort of compositional idea that is foremost in my mind when setting out to begin a new project myself. In the above three works, a final sampling of my favorite more portrait like works, pairs have become the dominant subjects so the portraits take on another layer of interest with the artist's ability to generate movement, direction and more involved compositions. In the first work by 27 year old first timer, Robin Murray (top left) of Michigan, he portrays, in a very unique style, a pair of Blue-faced honeyeaters. 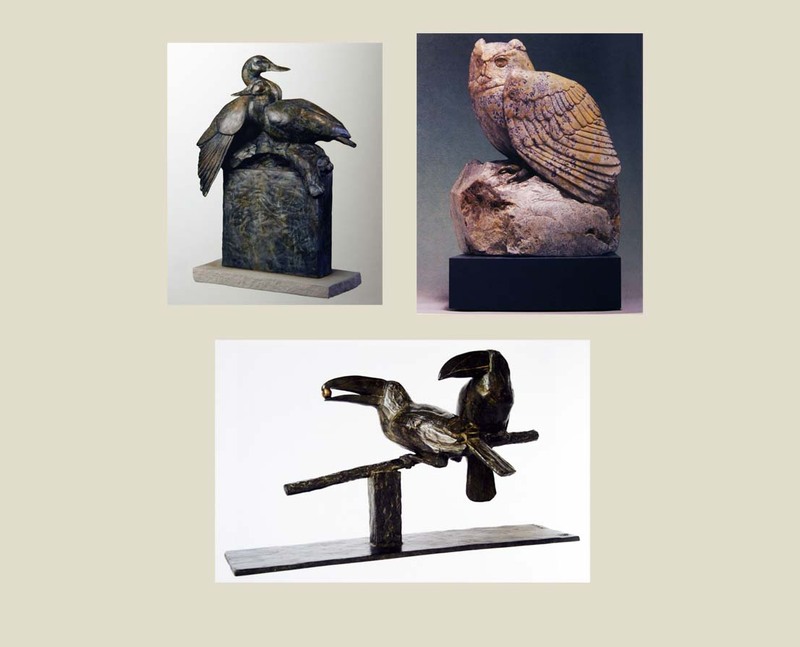 I was very much taken with the 'old world' character of his oil technique; the antique gold/bronze palette reinforced that feeling of looking at a 16th Century European work or an early Audubon and coming off the easel of such a young artist was quite appealing to me as a fellow artist. Murray's brushwork matched that of included artists twice his age and his design concept in this composition showed great thought. 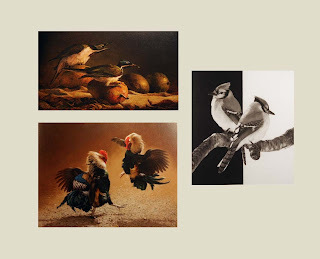 Below Murray's work, Patricia Pepin of Canada, in her 9th inclusion in Birds in Art, does a masterful job of not only portraying a particular species and a particular association with that bred of rooster, but offers a marvelous work of fine art. Light and shadow play an important roll in her rendering and the negative spacial relation to the primary subjects is nicely handled with the receding and softening/disappearing pebbles and ground indications. Finally, wrapping up my favorite portrait works, Sue deLearie Adair in her second appearance at the Woodson's annual fall event, draws a splendid pair of bluejays in Nothing Is. Being a fellow graphite artist, I very much enjoyed her strong graphic take on a portrait of a rather common bird, giving the subject more importance by the intentional stark division of her background. 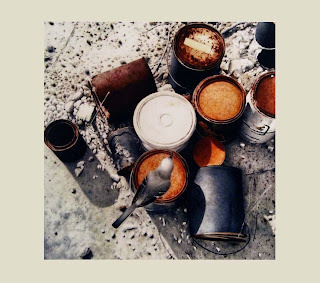 In this work, as opposed to the others mentioned earlier where background faded or fuzzed out, her intense and contrasting background plays a much stronger roll, while still being a rather negative overall setting for the birds. 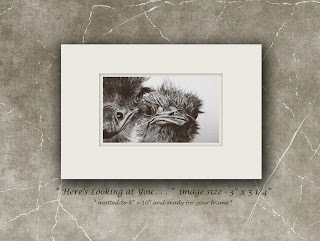 Without that intense separation behind them, the birds would have been pleasant, as they certainly are delineated beautifully, but that added stark background made the piece come alive. 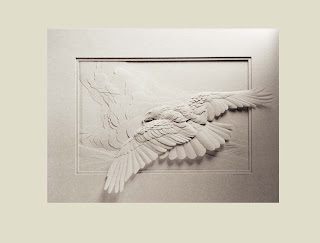 Calvin Nicholls of Ontario, Canada, works in cut paper. I've noted his work before but this was his first time as a Birds in Art artist and I was yet again, astounded with his ability in this very unique medium. With nothing more than a bit of dimensionality, layers of cut paper and the variations caused by light and shadow, his striking work was in my top five favorites. The uniqueness of the medium certainly captured me, but it was compounded by his grasp of design and anatomy and understanding of his subject. And to my final, yet by no means least, favorite two dimensional work of this year's edition of Birds in Art . 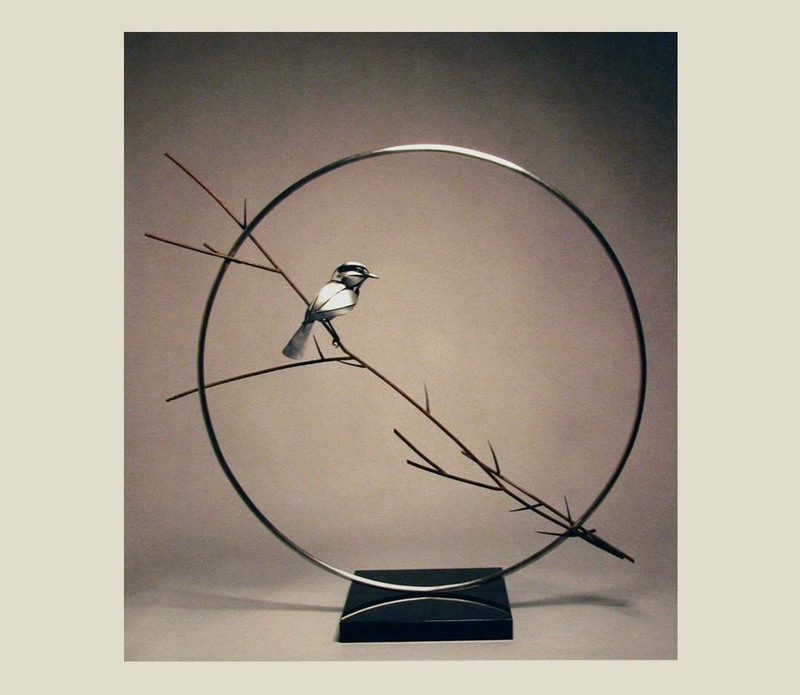 . . Alan Woollett's Northern Mockingbird. Only 15" square, I responded to it as if it were five times as large. Rendered entirely in colored pencil, I was instantly in love. This work, my top favorite of all in this year's exhibition, just had it all for me . . . a fine rendering of subject, a truly gifted compositional arrangement with a unique viewpoint and a very keen knowledge of the medium. 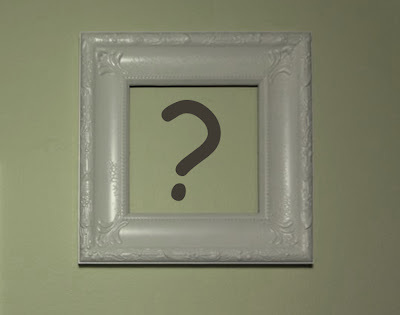 It is no wonder the museum has opted to add it to its permanent collection. A final sculptural note . . . some of my favorite three dimensional works are shown below. 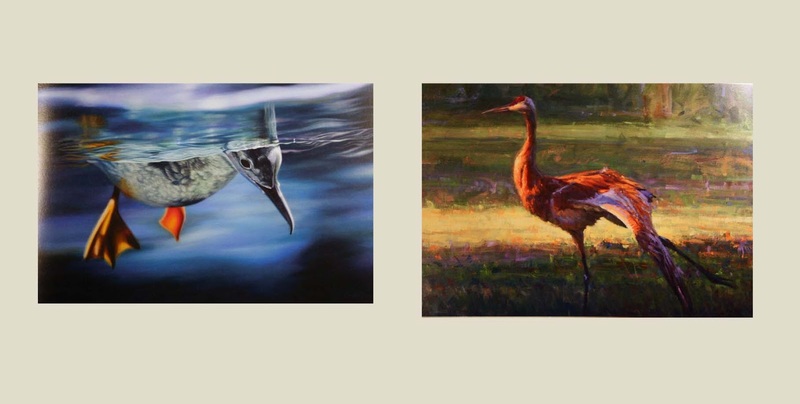 Top left, Darrell Davis, with his second inclusion in the exhibition, Clarence Cameron, with his 11th inclusion in Birds in Art, and Helene Arfi of Paris, France and her fourth year of inclusion. And, my favorite piece of sculpture from this year . . . by Wisconsin sculptor, Don Rambadt . 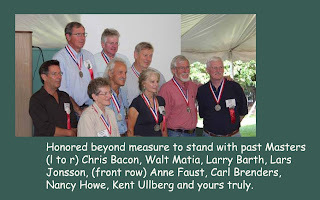 . .
As I have noted in previous years of posting my favorite works from Birds in Art, I could easily speak on each and every work included in this year's 125 piece originating show in Wausau, Wisconsin. 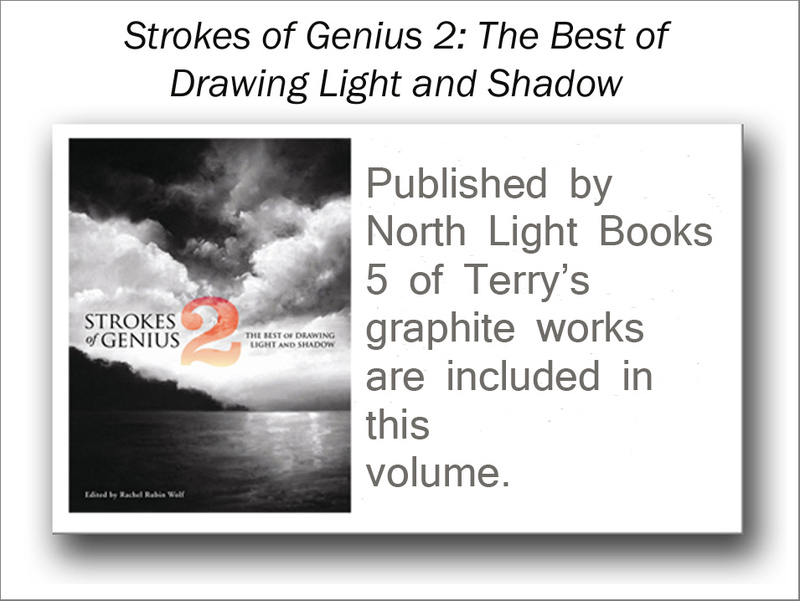 Time just does not allow for it and so I, with difficulty, select out my top couple of dozen works to spotlight. This does not mean that the other works included in the show are lesser or of less importance. Each and every work that makes it through the jury process in May has reason to be a part of Birds in Art as does each of those artists who have 'made the cut'. With hundreds and hundreds of artists entering work each year, well over 600 this time around alone, lots of very fine art is left out. 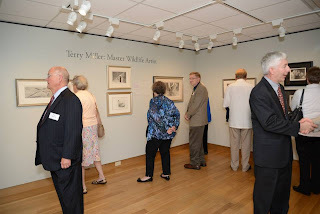 As noted by the museum director, Kathy Foley, on several occasions in the past, the museum could easily showcase a second entire exhibition with the amount of quality work that is not accepted. By zeroing in on these two dozen plus works, I have singled out works that encompass much of the interest level and uniqueness that appeals to me personally about much of the catalog and that the majority of the other works I've not included here do as well. 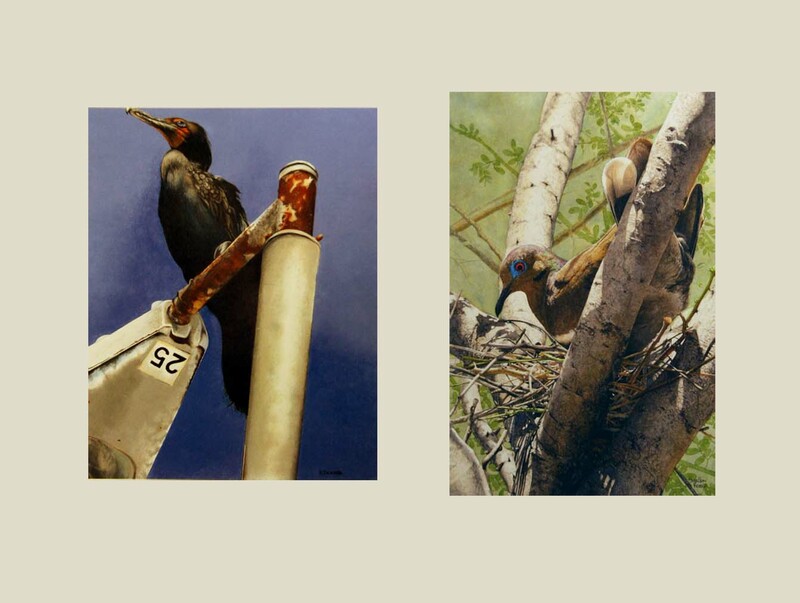 For the sake of brevity, these then, represent the incredible diversity that is this year's Birds in Art. 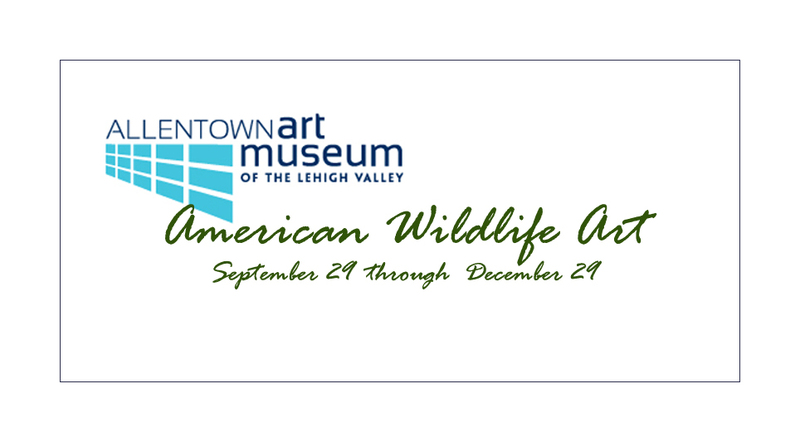 Opening later this month, American Wildlife Art, a one-time only exhibition curated by David J. Wagner, will hang at the Allentown Art Museum through the end of this year. The work of a host of contemporary living artists, including yours truly, and well known 19th and 20th Century masters, will spotlight animals in art. 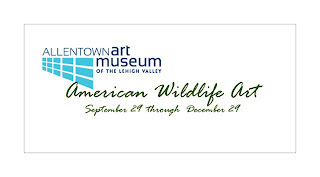 As this exhibition will not be repeated, it would be well worth a journey to eastern Pennsylvania, just a scant couple of hours from New York City as well as Philadelphia. Just a few more images, taken by my sister and others this past weekend, showing some more of the events including that wonderful group shot of all the attending artists taken on Saturday afternoon at the lake . . . time to relax, regroup and let our hair down after being 'on' at the museum. Also . . . I am happy to join the chorus singing forth from Facebook this morning in noting works that have been selected to tour with Birds in Art through next year . 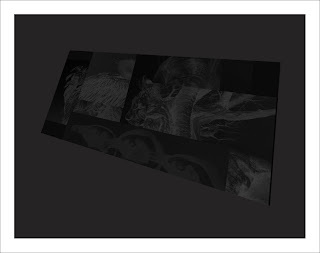 . . 'Stretch', the cover piece from this year's catalog will be joining all the other already named works being posted across the pages of Facebook today. The tour, comprised of 60 works of two and three dimension from the originating 125 piece show will tour to the Heritage Center, State Historical Society of North Dakota, Bismarck from March 1 through June 30 next year; Steamboat Art Museum, Steamboat Springs, Colorado from July 19 through September 13 and finally at the Michelson Museum of Art in Marshall, Texas from November 4 through the end of next year. Here is a link to my Facebook art page which has a short video from The Wausau Daily Herald, posted on Monday, September 9 (go down the page till you see "Birds Everywhere . 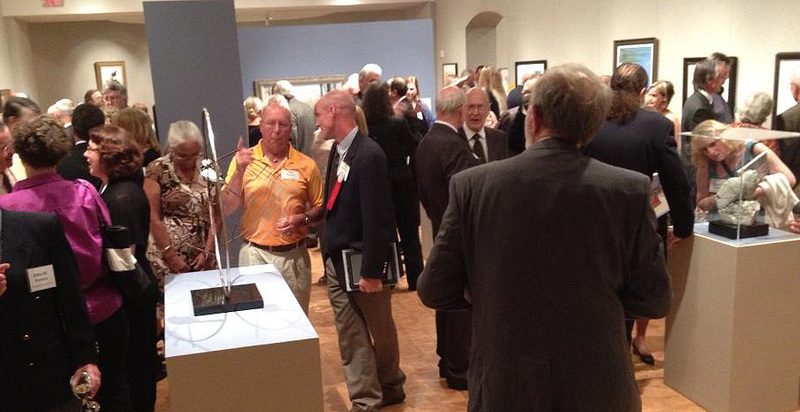 . . ") showing some of the Thursday evening reception at the Woodson Art Museum last week. 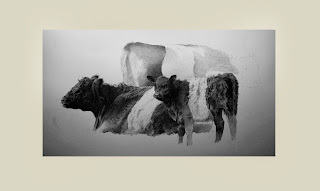 And, here is a link to an article on the seven artists included in this year's exhibition who submitted works in black and white. THE weekend has come and gone . . . the opening of this year's edition of Birds in Art at the Woodson Art Museum in Wausau, Wisconsin. 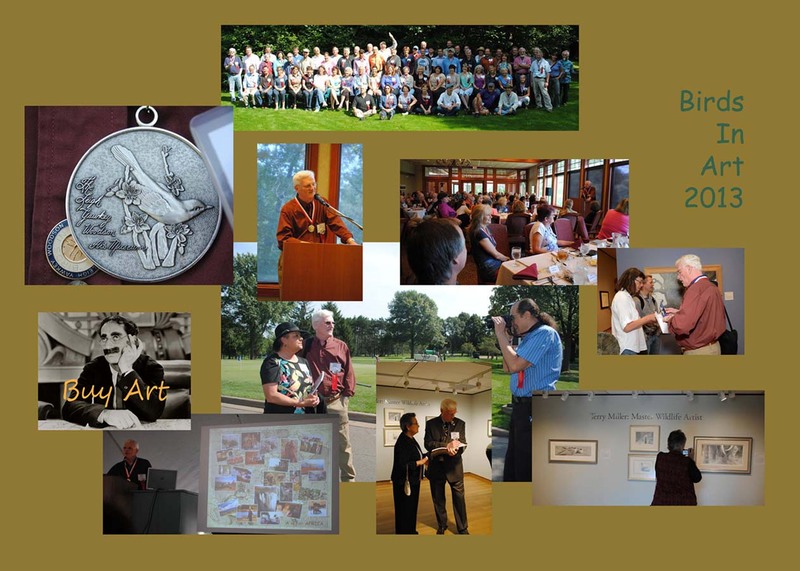 I returned home late yesterday afternoon after three days of excitement, dizzying events and many congratulations upon being named and awarded this year's medal as Master Wildlife Artist. Thanks to artists friends, dear friend/collector (and author of the extraordinary catalog essay about my work) Sarah Scott and the museum's own photographer, I'll post of few remembrances of the weekend today and in a few days will post my usual follow up on my favorite works from the exhibition, so stay tuned for that shortly. 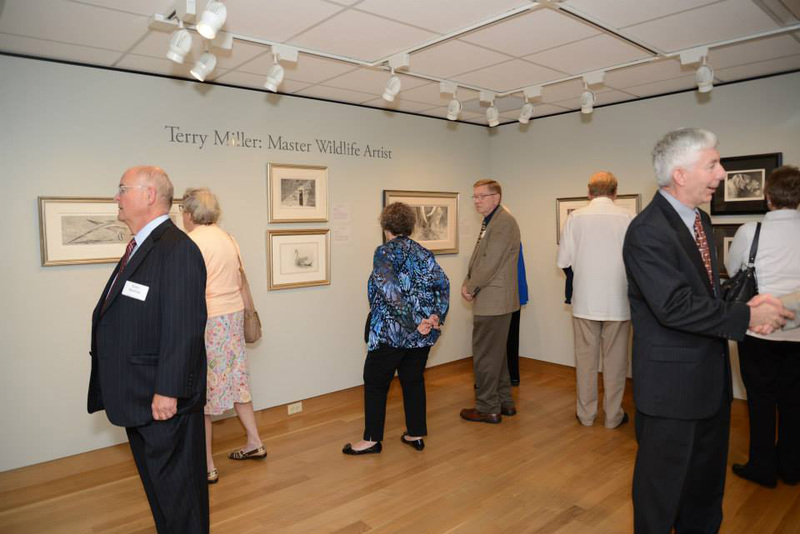 The museum has gone through a number of renovations and additions/alterations over the last couple of years, most recently the renovation of the main entrance and addition of new gallery space, which was christened by my mini retrospective Masters Exhibition. The beautiful vaulted ceiling in the entry lobby set the stage for the expansive and, as always, impressive gathering of this year's ten dozen excellent works of art. The first event is always the Thursday evening reception for local residents with a more informal atmosphere which, for me this year, was followed by the annual, special Masters Dinner just for attending past Masters and museum and associated board members. 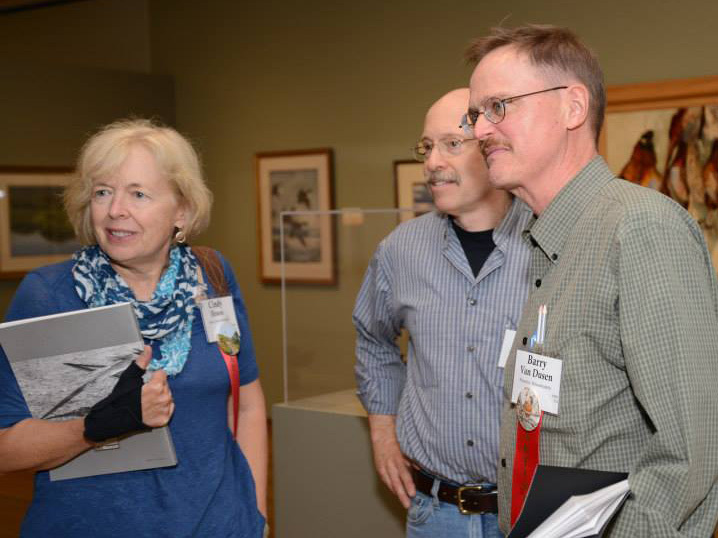 Sitting next to Kathy Foley, the museum's director, who always makes all the artists feel like family at a reunion, I was immediately put at ease and able to enjoy the evening with laughter, stories about art and everything else under the sun and feel welcomed 'home' to Wausau. At Friday lunch, traditionally the time to meet all the 'first timer' artists at their first Birds in Art weekend, my dear, dear artist friend, Paula Waterman had the honor to present the medal to me after a very warm and tear-instigating talk about our years of friendship. I managed to tell a story or two, change up the atmosphere to a more light-hearted one and thank, as sincerely and humbly as I could, all involved in the decision to have named me this year's Master. After lunch, we all bussed over to the museum for a first, personal and private, for the artists only, look at the exhibition. Stunning, as always, the work just blew me away, but since my attentions were required in my little solo gallery, I was not able to spend as much time as usual enjoying all the galleries. Congregating in the galleries for their first view, friends Cindy House, Jim Coe (the previous named Master in 2011) and Barry Van Dusen seemed entranced by a particular work. The festive formal reception on Friday evening kicked off the major events of the weekend with crowds filling all the galleries, enjoying their first views of the art and sculpture and engaging all the attending artists in conversation and catalog signing. 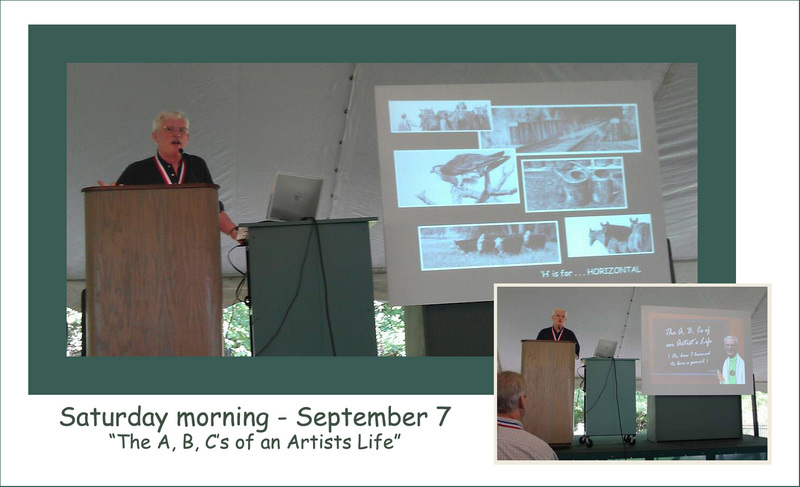 I enjoyed discussing my work with many interested, attending guests, explaining my process, talking about my medium and expounding about the joys of being a 'black and white' artist (one of 7 included in this year's roster of artists and works). Not only was I thrilled to share insights with the public and attending special guests throughout the three days of events. 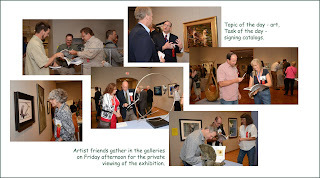 but also excited to catch up with many artist friends with whom I only meet once a year at Birds in Art. As mentioned over the last couple of weeks here on my blog page, Saturday morning dawned with me going over last minute details for my presentation under the big tent in the museum's sculpture garden. 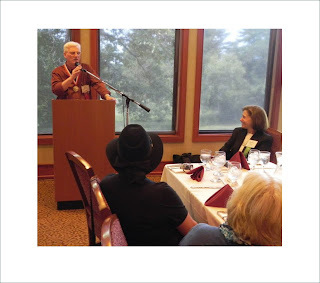 A packed house seemed to enjoy and respond to my attempt at a humor-filled slide show and the accompanying stories about times in the field and how and why I do what I do. It was a joy and pleasure for me to try and relate just how important being an artist is to me and also my love for my medium of graphite. A group portrait of the previous attending Masters along with their newly installed additional member capped off the morning and the disbursed crowd then enjoyed an hour of watching a number of the attending artists practice their craft in demonstrations scattered throughout the sculpture garden before the artists bussed off to northern Wisconsin and an afternoon of relaxation, letting our hair down and recounting the joys of the weekend, all the while, wondering about and formulating ideas already for next year's entries for the jury. I, on the other hand, don't have to worry about that any longer! Now, what can I do for next year that will knock everyone's socks off?